Did you see my 5-Ingredient Snacks and Drinks roundup the other week (including the 5 new 5-ingredient recipes I posted)? If not, you totally should check it out. There are more 5-ingredient recipes coming your way this week! Today’s post is the first in a series of 5-ingredient meals and desserts that I’ll be sharing this week, and this Saturday I have plans for a 5-Ingredient Meal and Dessert Recipe Roundup including the recipes I post this week, previous 5-ingredient recipes I’ve posted, as well as quite a few simple recipes from my blogging buddies! If you haven’t already, be sure to follow me via e-mail (in the sidebar), on Facebook, and on Pinterest. I’m in love with this waffle recipe. It’s so easy (only 5 ingredients, not counting water – I thought I could have that one as a freebie), and you can make them ahead, freeze them, and pop them in the toaster to reheat! How’s that for convenient? UPDATE: I’ve tested this recipe with my Baking Mix, and it works great! They make a great family supper on the run. Even my little sister liked them. AND, these make great pancakes! 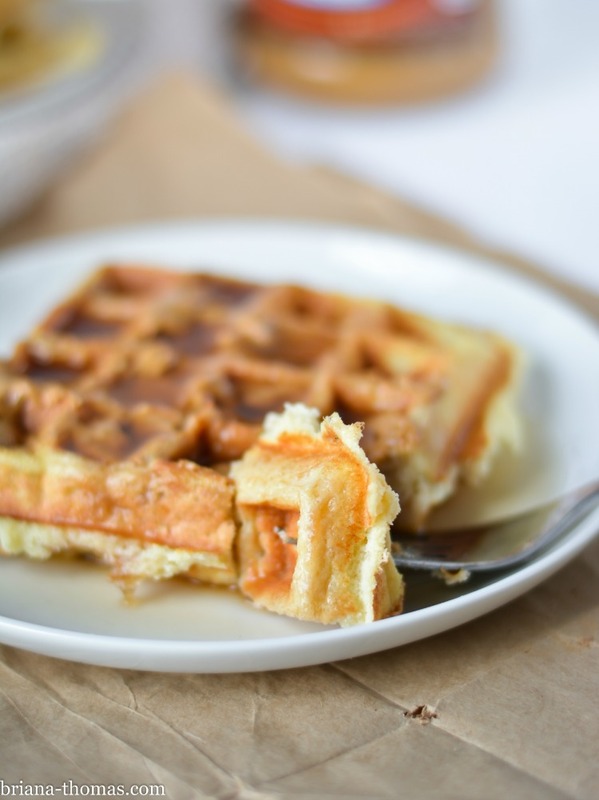 These waffles aren’t as crispy as those made with glutinous flour, such as white or wheat flour (although they do crisp up more if they’re toasted in a toaster after baking). However, they’re still great for all your favorite toppings and make me feel like I’m indulging when I’m really not. 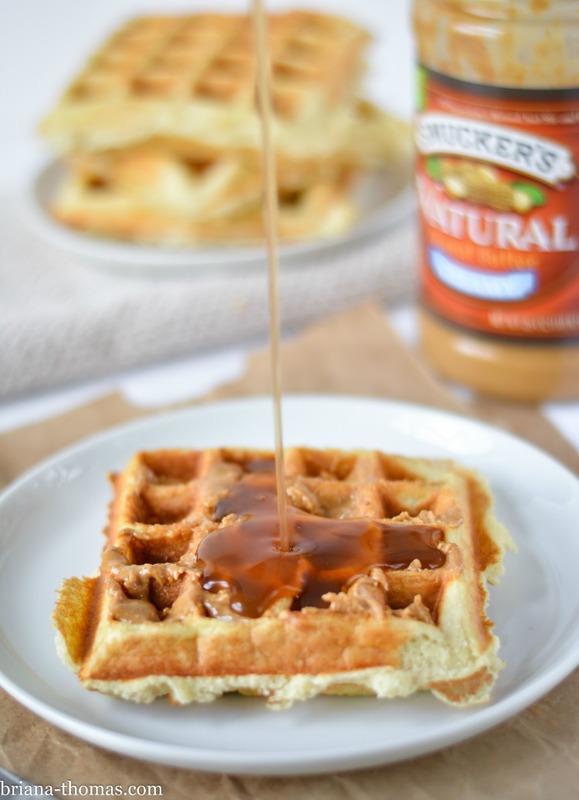 My favorite traditional waffle topping is natural peanut butter and some homemade sugar-free syrup, but feel free to use any toppings you like that will fit into your eating lifestyle (look below for some of my suggestions). One thing I would love to do with these is freeze them (maybe cut them into strips before-hand), then dip them into Skinny Chocolate (recipe in the book Trim Healthy Mama) and freeze again, keeping these chocolate-covered waffle sticks in the freezer for a quick dessert. Sound good? Why not top with some vanilla ice cream for a quick dessert? put some blueberries in the batter! Click here for more 5-ingredient recipes! Question of the day (comment below! ): what do you like on your waffles? You can pin this post from my Breakfasts board here. Beat all ingredients together until smooth. Bake in a standard-sized waffle iron sprayed with a nonstick cooking spray (my waffle iron used between ⅓ and a ½ cup of batter per waffle). 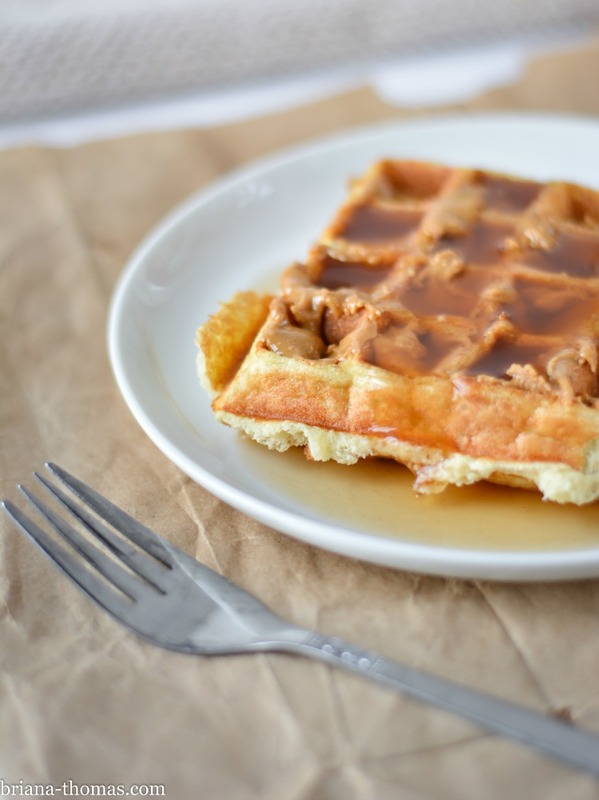 These waffles can be frozen and reheated in a toaster (use the "frozen" button). This actually makes them crispier. Top with your favorite toppings of choice! 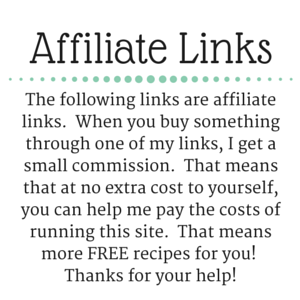 I enjoy mine with natural peanut butter or butter and homemade stevia-sweetened, glucomannan-thickened syrup. This batter makes great pancakes! Fry on a nonstick pan or griddle sprayed with nonstick cooking spray. Fry until each side is golden brown. You'll get about eight pancakes (4 servings). 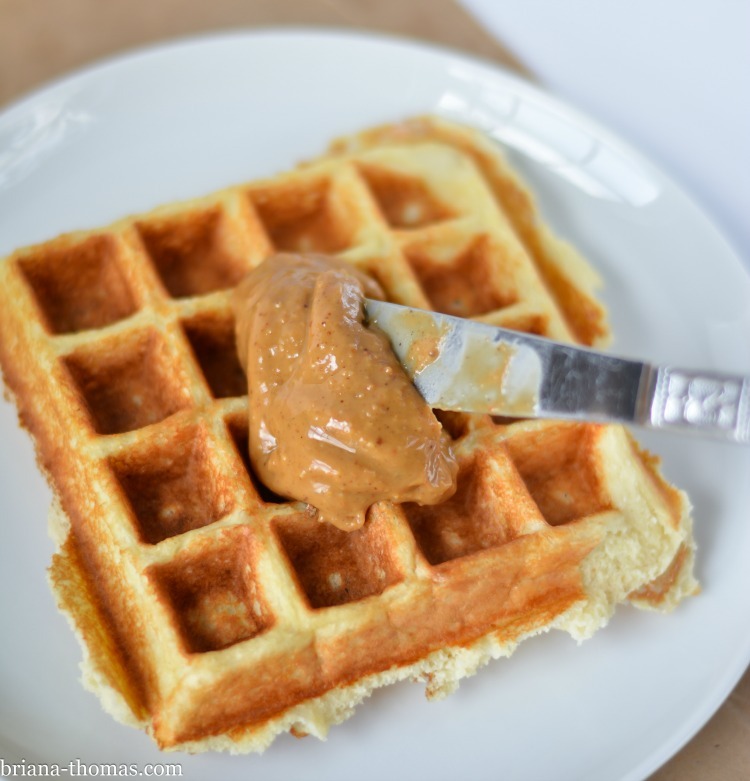 For an easy single-serve waffle, mix together 1 egg, ½ tsp. baking powder, 1 pack (3/4 tsp.) Truvia, 3 T of Briana's Baking Mix, and 4 T water. Waffle it up! Feel free to add things such as blueberries, cinnamon, vanilla, etc. to your waffle batter. You could probably use THM Baking Blend in place of Briana's Baking Mix, but you'll need a little more as my baking mix is drier and soaks up more liquid. To make these dairy free, use collagen instead of whey protein powder to make my baking mix. Substitute melted refined coconut oil or olive oil in place of the butter and add a pinch of salt. Click here for my Baking Mix recipe. Whey protein powder, THM Baking Blend, THM Integral Collagen, and THM Pure Stevia Extract Powder can be purchased from the Trim Healthy Mama online store. I made the waffles using the coconut flour and vanilla whey protein powder and they were so good!! I have both of your cookbooks. Thank you for sharing! That’s great to hear! I’m so glad you liked them! I made these using the THM Baking blend and they turned out great. The only question I have is this… do you only use the whey protein if you don’t use the baking blend?? I used it and it was a little thick so I added some half and half and that made them perfect. I was a little confused by this because the baking blend doesn’t have whey or another high protein source. Made the pancakes. Finally a recipe almost like the [email protected] think. In fact I think it’s better! I was wondering if one could use the THM baking mix? 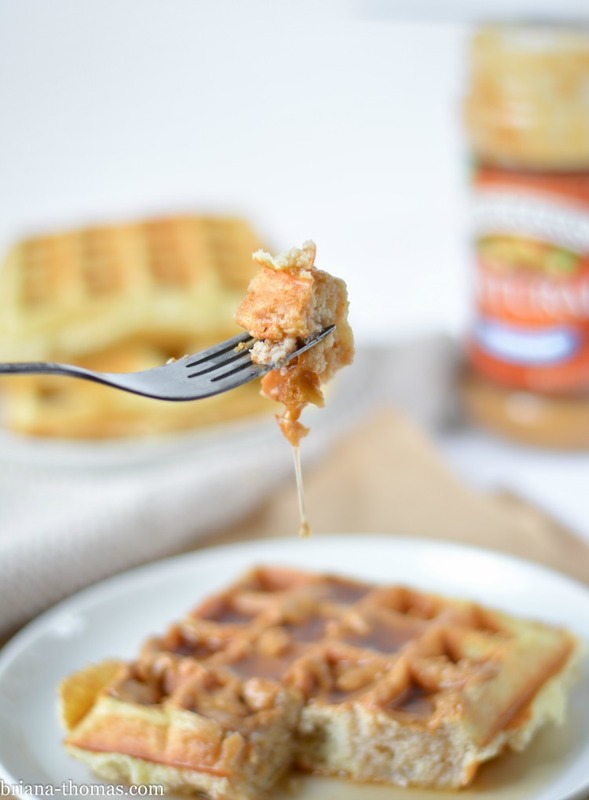 I’m newer to THM and am craving some pancakes/waffles and these look good! Hi Heidi! As I said in the Notes section of the recipe, “You could probably use THM Baking Blend in place of Briana’s Baking Mix, but you’ll need a little more as my baking mix is drier and soaks up more liquid.” General rule of thumb is to start with 1 cup of Baking Blend for every 3/4 cup of my baking mix (and vice versa), then adjust if needed. I am supposing that you can use the batter to make pancakes with. If so what would I need to do to make it a pancake batter? Tried for the first time today, forgot to spray with oil. ;( but ate them anyway. Looking forward to trying again. These are my new favorite breakfast. Today I had them with the Siimply Healthy Home blog caramel sauce, it was fabulous. I use a scant 1/3 cup of batter on the waffle iron and I cook until there is no steam coming from the iron, much longer than you would think, but they are crispy this way. Thanks for another GREAT and SIMPLE recipe. BTW, I am using a round waffle iron, not square with that scant 1/3 cup batter. Awesome, and thanks so much for the crispiness tip! How liquid Stevia would be equal to the powder? This recipe yields 4 waffles (this should be stated in the recipe). I made these this morning and they were really good. However I should have went with my gutt and oiled the griddle they stuck and all I had was pieces. Maybe you should add that step. Oops, I just took that step for granted. Added it in; thanks for the tip. Briana, wondering if I could use Swerve sweetener instead of the Stevia, since that is what I have on hand? It measures just like sugar. Maybe a tablespoon? What if I added melted butter to the mix? I have found that that can make nice crispy edges in other recipes i’ve tried. Any idea if I could sub the protein powder with something else? Im almost out of that and not sure when Ill get around to buying more. (its just too expensive where Im from 🙁 . The recipe looks so good tho. and simple. Waiting to try it. Maybe oat fiber? I think they would be about the same consistency, but the oat fiber might be grittier. You could try another S flour, or more coconut flour, but you may need to add more or less, depending what flour you use. Do you think they’d crisp up at all if you put them in the toaster after cooking them? Yes, they do crisp up if toasted. I forgot to add that to the post; thanks for reminding me! ok to try with almond flour or oat flour? Oat flour is an E, so that would give you a crossover if you’re on the Trim Healthy Mama plan. Coconut flour soaks up a lot more liquid than either almond flour or oat flour, so if you do try to substitute (I wouldn’t recommend it), you’ll likely need more of the other flours to get the same result. The coconut flour texture took me a bit to get used too, but I LOVED them topped with cream cheese and bacon bits. Thank you so much, you are amazing with all of your recipes and they are usually very frugal which I LOVE!!! I’m so glad you liked them..and I LOVE your topping idea! Thank you sharing your recipes with us. Loved your Easter post and music as well. You almost gave me a heart attack…I thought I forgot to put baking powder in the recipe. 😛 Haha… Thanks for the kind words.